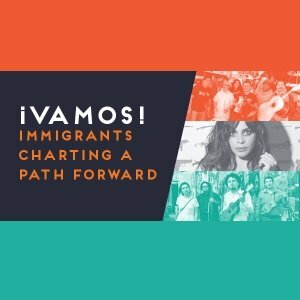 Popular Music Project director Josh Kun has gathered musical friends and family for a day of free workshops and panel discussions focusing on immigrant legal defense and immigrant financial advocacy work. This event is linked to the launch of the Mission Asset Fund’s new Immigration Emergency Fund. Don’t miss this chance to join three MacArthur fellows — Jose Quinonez, Ahilan Arulanantham and Josh Kun — for dynamic workshops on cutting-edge immigrant legal defense and advocacy. Can’t make it during the day? Come for our evening benefit performance featuring musicians Los Jornaleros del Norte, Cambalache, and Ceci Bastida. RSVP HERE. Discuss new ideas for the next generation of immigrants’ rights advocacy with experts from the ACLU, Innovation Law Lab, Esperanza Immigrants’ Rights Project, and others. Hear how innovative organizations like MAF, Pilipino Workers Center, CHIRLA, Korean Resource Center, and UndocuMedia are responding to the emerging needs of diverse communities. Enjoy food, drinks, and the company of passionate immigration advocates. Celebrate with musical performances by Los Jornaleros del Norte, Cambalache, Ceci Bastida, and other favorites. The event is free. Every dollar donated will go to MAF’s Immigration Emergency Fund to support California families with immigration expenses like bail bond, court costs, and attorney fees.